Four Weeks Of Lesson Plans!! Display on your bulletin board or on a wall. 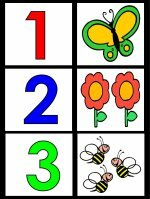 Show the parents the number, color and shape the children will be learning in March. 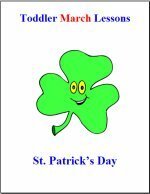 Print out lesson plans, posters, calendars, games, craft patterns, coloring pages and activities for March. 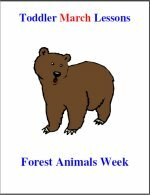 For our forest animals week, St. Patrick's week, pet week and zoo animals week. 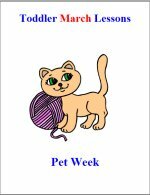 (All 4 weeks of lesson plans included in March Curriculum are shown on this page. Click Here To Buy $15.00 Instant Access! 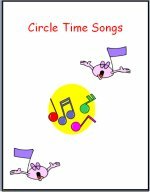 Includes Circle Time, Art Time, ABC's & Fun Activities! At the end of your order, check your receipt page for the download tab. Or go to your email and look for the email that says digital order to find your password. Plus! Letter/Number Time & Special Activity Time! Receive Password Right After Purchase! Plus fun learning activities and games to teach that months letters and numbers! Parents & Children Love The Program! Who’s Hiding In The Cave? 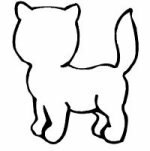 Printable activity pages for all games, coloring pages, etc. can be downloaded after purchase. Forest Animals Lotto Colorful Bunny Animal Letter Match Up Green Turtle Ut Oh, Who Spilled The Garbage! Instant access – $15.00 Per Month – Order Below!! All the flowers have disappeared from the flower garden, can you help Mr. farmer find his flowers? Have the children look around the room and as they find the flowers bring them back and put them into the egg carton (flower garden). Tune to: "The Farmer in the dell"
Hi ho the Derry oh, there are bugs on the flowers. Hi ho the Derry oh, shoo those bugs away! Directions: Sing the song to the children, as you sing the words shoo those bugs away, move you hand like your shooing a bug away, encourage the children to move their hands with you, to pretend they are shooing the bugs away. You will need: Large flower print out (black and white file), copy paper, crayons or markers and circle stickers. Directions: Print out one large flower and use as a pattern in cutting out each child one large flower, have the children color the flower and then stick on circle stickers to make a large colorful flower, make sure to use the word �circle� while they are putting the circle stickers onto their flowers. 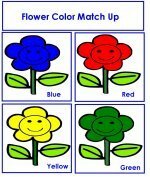 Print out two sets of each of the flower color match up games. There are 2-flower color match up games.One card will be the game board. The other set will be cut apart to be the game cards. Print these out onto heavy paper such as white card stock paper for best.results. Have the children match the flower cards to the matching flowers on the game board. You will need circle flower worksheet, circle stickers, and crayons. Place the flowers into the sand table along with some sturdy plastic flower pots or sturdy plastic container such as a yogurt cups and show the children how to put some sand (oatmeal or rice) into their flower pot and then stick the flower in. If you do not have a sand table you can provide each of the children with a dishpan with a small amount of oatmeal (for pretend sand) and have them play with the flowers in the dishpan or sand table. Outside Sandbox? If you have an outside sandbox you may want to have the children take the flowers and the sturdy plastic flowerpots and spoons (pretend shovels) outside and do this activity outside today! Order by credit card for instant access! Purchase with a debit or credit card and receive your password automatically right after purchase. We can accept Visa, MasterCard, Discover, American Express or paypal. Click here to purchase curriculum at $15.00 each as a download or $25.00 on a CD for each month ordered (each month and age group sold separately). Purchase 2 or more months on sale! We offer our curriculum at a discounted price when purchasing two to three months, six months at a time, or by the year. $$ Save Money – Purchase Entire Year ! If purchased by the year, you will have access to all 12 months instantly. It is 150.00 for the year of toddler as a down or $150.00 for the year of preschool as a download. It's that simple!! Download Today! NEW – Order with a credit card and right after payment is made, you can start downloading the curriculum for the month that you just purchased. Download right after payment is made with a credit card. Password: At then end of your order, you will land on the receipt page, look for the pink download tab, and click open and write down your username and password, or check your e-mail. If you can't find your password or you are having trouble logging in then please contact us by email at kids@adaycare.com. What Will I Receive? You will receive the month of curriculum that you purchased as a download. 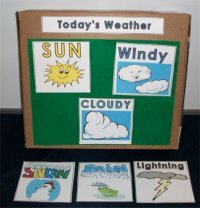 For each month that you purchase, you will receive four weeks of lesson plans; such as the Teddy Bear Theme, Flower Theme, Frog Theme, Bird Theme, depending on which month you purchase will depend on which four themed based lesson plans you receive, you will also receive four activity calendars – one for each week of curriculum activities, four curriculum posters – one for each week of themed curriculum, plus all the printable activity pages for that month – which includes the printable games, craft patterns, coloring pages, worksheets and any other printable pages that you need for the month of curriculum that you purchased. Click the links to purchase the Toddler Curriculum. Our curriculum shown is for toddlers. We also have an infant, younger toddler and preschool curriculums available. 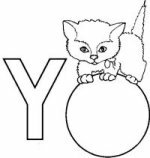 If you would like to view the infant , younger toddler or preschool curriculum please click the underlined links. 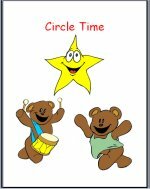 Our theme based curriculum consist of four weeks of themed lesson plans per month to download or purchase on a CD. You will receive 25 – 40 pages of content per month for lessons plus 20 to 40 printable activity pages which consist of printable games, craft patterns, coloring pages and any other printable pages that you may need for the activities for the month of curriculum that you purchased. 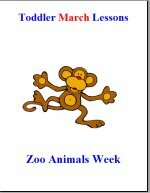 You will also be able to print out the four weeks of lesson plans, four activity calendars and four weekly themed posters for the month that you purchased. The posters are paper sized and work best being printed onto white cardstock paper, which can be found at Wal-Mart or any office supply store. Supplies are basics such as paper plates, cotton balls, paper bags, yarn, feathers, markers or crayons, construction paper, paint, craft sticks, stickers, etc. Our curriculum can be purchased by the month for $15.00 as an instant download. Or you can save money and purchase the curriculum by the year. Our toddler curriculum program is available year-round. You can purchase any month at any time, and instantly download to your computer. Or you can purchase the curriculum on a CD. If purchased on a CD, the cost is $25.00 for each month that you purchase and this price does include shipping and handling charges. Or purchase from our sale page 2 months for $25.00, 3 months for $40.00, 6 months for 75.00 for downloads. Kids love using our program, parents love seeing their children exploring and learning, and you will love how easy the curriculum is to use! Order today Start using the material right away! Order with a credit card and right after payment is made, you can start downloading the curriculum for the month that you purchased. Download within minutes after payment is made with a credit card. Click here – to view younger toddler themes (sold separately) and then scroll down the page to view each weekly theme per month. 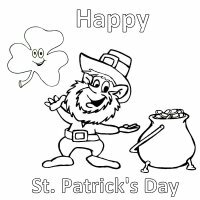 Click here – to view preschool themes (sold separately) and then scroll down the page to view each weekly theme per month. Our curriculum is sold by the month as an instant download for $15.00 or on a CD for $25.00 for each month purchased. Or you can purchase our curriculum by the year. You can purchase any month at any time and have instant access to start downloading. Look for the month you are thinking about purchasing above and then you will see the four weeks of lessons plans that are included in that month's curriculum. Click on the months on the chart above to view the curriculum.